We open daily at 4PM and close at 10PM weekdays and midnight on Friday/Saturday! It's happy hour daily from 4PM to 6PM in the bar, lounge and dining room and again from 10PM to close (Fri./Sat.) in the bar and lounge. 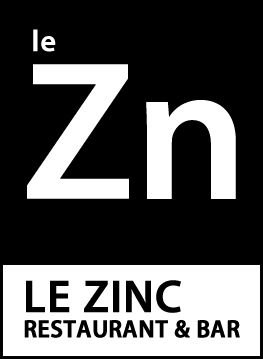 We proudly welcome you to Le Zinc, a contemporary French gastro-pub located in the heart of Capitol Hill’s Pike/Pine corridor, highlighting metal and woodwork by local artist Robert Portigliatti. Le Zinc features a carefully selected bar menu primarily of local and French spirits, and delectable modernist fares without the pretense, all encapsulated in a casual atmosphere. Chef Jaron Witsoe has meticulously created an intricate, bold, and ever-evolving bill of fare, emphasizing on elementary Pacific Northwest and French ingredients such as Penn Cove mussels, Washington peaches, and house-churned butter. Reminiscent of many pubs and old world bistros, taste, freshness and simplicity is key at Le Zinc. Le Zinc’s bar primarily showcases distinctive "eau de vie", Vermouth, Cognac and Armagnac, and ultra-premium local beers and spirits. In addition, we proudly features an assortment of exceptional absinthes, ritualistically prepared over an absinthe fountain and accoutrements.